It can be exciting to see deer in a country setting, by the woods or in a field. But, when they start to eat and destroy the prized plants in your gardens they can be down right obnoxious. Since fall is the time to plant spring blooming bulbs, below are a few varieties that the deer will leave alone when they sprout and bloom next spring. 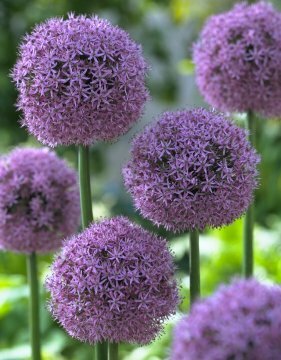 Allium – Great for planting in small groups in borders in full sun to light shade. They make a long lasting cut flower. Cover with straw or mulch in winter. 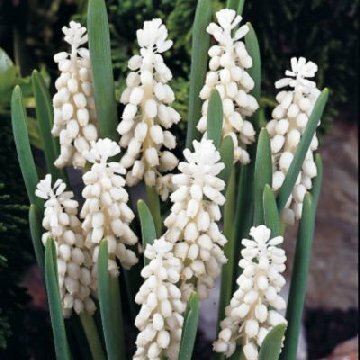 Muscari – (Grape Hyacinths) These little beauties work well for naturalizing in borders, rockeries, woodland, between shrubs and between paving stones. Also good in tubs on a terrace or balcony. Best in full sun or partial shade. 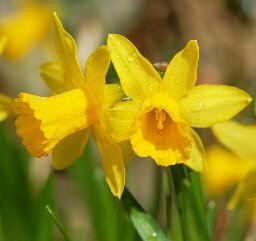 Daffodil – Well known for not being bothered by animals. Plant them in full sun to part shade. You will be able to enjoy these cheerful beauties for many springs to come.